The business world at this moment is at its competitive best. Stiff competition has created a situation of survival of the fittest. So irrespective of the various market conditions it is essential that your company has the edge when it comes to marketing. India is at a transitional stage where we are moving towards a more digitally advanced market. Hence, increasing emphasis must be given to improving the online presence of a company to ensure that they survive in a market which is witnessing a deluge of innovation and technological advancements. Under such circumstances, proper digital marketing planning and careful implementation of the same is a prerequisite for not only the survival of a company but also its growth. 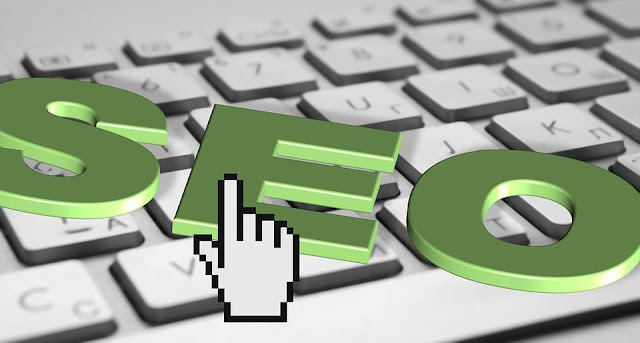 One essential technique which is consistently employed by most companies is SEO. However, not many officials or companies realize the need for constant reinvention of their SEO strategies. Digital marketing is an incredibly dynamic concept. A technique which may have been a massive success last season may not work today. Similarly, it is also industry specific. Hence, while planning your company’s SEO strategy, it is best to get accustomed to the basic concept of SEO while keeping in mind the particular business and its target customer base. Search Engine Optimization or simply SEO is one of the most commonly misinterpreted concepts in marketing. Due to its historical mischaracterization as a type of alchemy, many tech-savvy companies have made the mistake of devaluing its impact. However, it often proves to be a missed opportunity for these enterprises. This is because SEO has the potential to bring businesses, qualified leads, and subsequently, customers. Statistically speaking, SEO has a better conversion rate and return on investment than traditional types of marketing like print and television advertisements. Like any other marketing process, SEO too takes its time for results. So expecting rapid transformation within days is perhaps not the type of expectation that you should set when it comes to an effective SEO strategy. At the same time, over a period SEO can help your business make grow by increasing business visibility, traffic, branding, ROI, credibility, and helping you analyze customer behavior. All of which can collectively help your business reach a higher level. Ever since its introduction voice search has created a massive impact, and it is predicted that it will become more popular very shortly. As a result, optimizing it can prove to be a tremendous asset to your company. Today, about 20% of all mobile searches are made through voice, and it is estimated that by the year 2020, the percentage would steeply rise to 50%. However, before implementing voice search optimizing for your business, it is imperative that you understand the fundamental difference between voice searches and traditional searches. The most significant difference between the two is how most of the queries are framed. While in traditional or text form of queries have a general pattern, in case of voice searches the questions are more conversational in tone. This realization makes a significant difference in the overall strategy of your business. It is essential to not only identify these changes but also to form an approach based on the difference. It is a good idea to take a few sample voice search queries and optimizing for them before going full throttle with the concept. Another critical factor which must be considered in case of voice optimization is your web page's ability to reach 0 positions on Google’s SERPs, which are popularly known as features snippets. The features snippets are nothing but the results that are displayed above the first result in a Google search. This typically includes a headline and a short text snippet. This is pulled up directly from your company website if your website is ranked 0 when Google Assistant or Google Home answers a question posed by the person. Hence, if you wish your page to be featured in voice search result of Google, then you should focus more on optimizing individually for the highlighted snippet position. User experience plays a significant role in determining conversion for business. According to a recent study, about 47% of customers expect a page to load within 2 seconds. Moreover, as per the same report, about 40% of people move to other web pages if the page that they are surfing does not load in 3 seconds. Now page speed only plays a role in desktop searches. However, Google has announced that from July 2018 onwards it will also be a determinant ranking factor in mobile searches. Hence, it is necessary that you get rid of issues which are hampering your page load timings. Some of the best methods to do so includes using better servers and content delivery network (CDN). You should also aim to limit your redirects as it can negatively impact your page speed. Besides, cleaning up the redirects and keeping only the useful ones can also help. These two rank among some of the latest SEO techniques which can help your business stay ahead of your competition and help grow at a faster rate than ever before. Author Bio: Kiran is the CEO and Co-Founder at Growisto, a Digital Marketing Consultancy funded by AngelList Investors. He is an Angel Investor and has 12+ years of extensive experience in SEO, Content Marketing, and Performance Marketing. He also runs www.organicfacts.net, a health and nutritional portal that generates monthly traffic of over 5 million. I hope you enjoyed this article about the most important SEO techniques that your lean startup or SMB needs to implement.